Women's national football team of Germany won the eighth European title after beating in the final in Solna, 1-0 (0-0), representative of Norway, informs AFP. The only goal of the meeting was marked by Mittag, after 49 minutes. Germany goalkeeper Nadine Angerer saved two penalties to help her side clinch the European Championship. Norway were handed a fine chance to take the lead when Cathrine Dekkerhus went down in the area under minimal contact from Da Mbabi in the area, earning a penalty. Ada Hegerberg had a strike correctly ruled out for offside before Kessler hit the post for the Germans in the closing stages. Germany, who won the sixth consecutive European title, it was also imposed in 1989, 1991, 1995, 1997, 2001, 2005 and 2009. The other three editions of the European Football Championship Women who have not been won by Germany went to Sweden (1984) and Norway (1987 and 1993). The English are insisting for David Luiz to leave Chelsea, but the Brazilian player announced that he has no intention of leaving London. Barcelona wanted him as a quarterback player and he is at the moment in the top list of acquisitions, the Spanish team is ready to make an offer for him. According to Goal.com, the Spanish team is ready to spend €30 million for the transfer of the new player, but the team is confronting with the bad intentions from Chelsea. The British Press from UK noted that Abramovich would agree with an exchange with Manchester United between Rooney and David Luiz plus a pretty good sum of money. Barcelona really needs at this moment a good quarterback player after Abidal left the team. The team needs defense in their next football matches. It seems that Real Madrid really wants a talented player from Tottenham Hotspurs : Gareth Bale. The Spanish Team is ready to spend €120 million for transferring Gareth Bale and this will be the biggest sum offered for one single player, it will probably be the most expensive transfer of the century. Perez will be able to offer €100 million plus the Argentine player Di Maria. If the transfer will be finished, Bale will outscore Cristiano Ronaldo’s record, who has been also bought by Real Madrid in 2009 for €94 million. Bale will become the most expensive player in the history of football. After Gareth Bale comes to Real Madrid, he will have an annual salary of €9 million, almost a double salary from the one he earned in UK. Gareth Bale closer to Real Madrid. He would become the most expensive transfer in football history. Real Madrid pais 100 million euros for this transfer. Although negotiations between Tottenham and Real Madrid have not yet completed, the prestigious Spanish daily "Marca" has announced that Gareth Bale will be Madrid team player. The great Zinedine Zidane said of Bale: " Bale is the type of player who leads the team to the Champions League title winning the trophy. It is powerful and explosive. " There was no figure official on transfer payments. Real's manager, Jose Angel Sanchez, said that this will be the most expensive transfer in the history of football. Spanish Journalists speculate that Real Madrid will pay up to the amount of 100 million, more with 6 million as they payed for Cristiano Ronaldo in 2009. Moreover, according to the same journalists Bale would receive 10 million per season, more than double the current salary from Tottenham 4.5 million per season. Real Madrid insist on transferring Bale, even though he repeatedly said that he wants to remain at least a year at Tottenham. However, coach Andre Villas-Boas said Thursday at a press conference in Hong Kong, it is certain that Bale will not leave "is a player that we want to keep one of the best players in the world and do not rely on it further. " Bale's agent, Jonathan Barnett, met with Florentino Perez and showed a photo of Bale at 10 years, dressed in shirt of Real Madrid, "Do not worry, Gareth has always wanted to play for Real." "For those players that bring you profit, you could pay anything. But we're not talking about Bale so much because he plays for a friend club and they would be bothered to talk about it. I know well on their employer and he does not like such things, "said Perez. Clubs are in good relations after Luka Modric was transferred last summer. Gerardo Martino is the fourth argentinian coach in the history of Barcelona after Roque Olsen, Helenio Herrera and Cesar Luis Menotti. 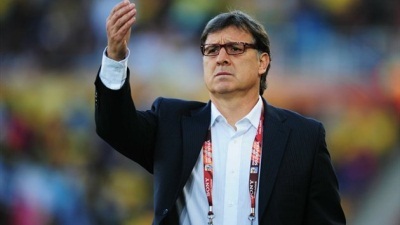 Throughout his career, Gerardo "Tata" Martino prepared teams like Arrecifes Brown, Platen Instituto, Libertad, Cerro Porteno, Colon, Libertad, Paraguay and Newell's Old Boys. The understanding with the Catalan club is valid for the next two seasons. FC Barcelona President Sandro Rosell announced last week that Tito Vilanova technician can not be the Catalan coach anymore because of health problems.Saturday evening, Tito Vilanova thanked all the FC Barcelona fans for support in an open letter posted on the Barca club's website.Vilanova, former first mate of Josep Guardiola took over the team last season and he have a contract with FC Barcelona until the summer of 2014. Barcelona game will not have to suffer with the coming of Martino on the technical bench. 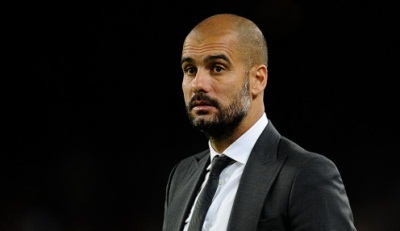 Fresh appointed to replace Tito Vilanova, Tata Martino is exactly what Barcelona needed. One of the characterizations that have been made over time is that Martino's values are derived from the Catalans philosophy. South American Technician game uses the same system that was used during Guardiola's Barcelona; is a game without a striker and the goalkeeper must have very strong legs. In addition, Martino is the kind of coach that group is very important and motivational speech is an important moment in the locker room. Humility and simplicity are team values. Higuain Gonzalo, the striker form Real Madrid passed successfully the medical tests and he will soon join the Napoli. After PSG sold Edison Cavani for an enormous sum of €64 million, Napoli negotiated with Real Madrid the transfer of Gonzalo Higuain, for who they will pay almost €40 million, according to international press. The Argentine football player has been wanted by Arsenal too, but he accepted to come to the command of Rafa Benitez, the one who also convinced goal-keeper Pepe Reina from Liverpool. Both Higuain and Reina successfully passed the medical tests on Wednesday and in a few days they will join the crew. Both of them will be officially presented. Higuain scored 107 goals in all his six seasons and Napoli will sign a contract with him for the next upcoming five years and Higuain’s annual salary will be about £8.5 million according to Peninsula press. He will earn £140.000 every week and a total sum of £36.4 million during his full contract. At this moment, Higuain earns £65000, so the new salary mentioned above should really satisfy him. Before signing, Gonzalo required time for thinking so that he could make the best decision if to come or not to Napoli. He first received an offer of 23.1 million, but eventually the offer grew. Napoli ended second place last season with a quota of 2,10, with this quota they should remain in top 3, but for winning the first place it should be 9,00. Let’s see how Real Madrid will evolve with the new upcoming players. Bayern Munchen - Barcelona 2-0! Guardiola beat Barcelona in the hottest friendly of the summer. Barcelona left Champions League this spring after a 0-7 in general, with Bayern Munchen. The two teams met yesterday after a short holiday in a friendly match. Although have passed three months from the "double" of League, the balance of power was about the same. Catalan team missed Iniesta, Xavi, Pique, Puyol, Busquets and Neymar who are still in vacation. Philipp Lahm headed Bayern in front with a shot from Ribery's cross (14) and Mario Mandzukic finished from Diego Contento's ball into the box with three minutes left. Bayern dominated and in many moments showed mercy to the opponent, reminding Barca who' s the boss. Barcelona traveled to Germany, after Tito Vilanova has resigned in order to fight against cancer. Neither was his substitute, Argentine Gerardo Martino. In these circumstances, Jordi Roura, first mate Tito Vilanova, led Barca. "It was a special game for me. I spent my whole life as a player and coach at Barcelona. I'm happy, I don't have anything to complain about at the moment." Guardiola said. Bayern face Borussia Dortmund, the team they overcame in May's Champions League final, in the German Super Cup on Saturday, on Westfalenstadion. Borussia Dortmund qualified for this super match on 2nd Bundesliga, as Bayern won the cup and the championship. After eight years in Ukraine, what made you move to England? I chose to move to City because of the greatness of the team and their ambitions to win titles. I know Shakhtar wanted me to stay so much, but in the end they understood my situation and my heart’s desire, and without any doubt they will always be in my heart. How would you describe yourself as a footballer? I would say that my good points are very simple: I try to miss the fewest possible passes and be the engine of the team, linking defence to attack. I have a dream to finish a game without misplacing a single pass. You’ve decided to wear the No.25 shirt. Why is this? There are two reasons. The first is that as I played with the No.7 shirt at Shakhtar I wanted the number to relate to seven, so I decided to choose 25 because two plus five equals seven! And the other reason is that during contract negotiations for this move, we were all very tense at home as we didn’t know if the transfer would go through. Then one evening my son said: “My father’s shirt number will be 25.” I felt it was an omen. How excited are you about playing alongside Yaya Toure? Very. He is an excellent player, his record speaks for itself and I’m sure I will learn a lot from him. I think City’s squad is full of great players who understand football. Who are your footballing idols? When I was a child I was a great fan of the Brazilian goalkeeper, Taffarel. And because of him I wanted to be a goalkeeper too. But, thank God, my father did not let me and made sure I only played with my feet! Football is in my family’s blood: they all love football and my father and my uncles always played, but did not become professionals. I have played football since the age of two, so my mother tells me. Atletico Paranaense was your first club – what are your memories of your time there? Atletico was a spectacular club, with a great working structure – it was an excellent club for young players and they have exceptional fans. I had three perfect years playing for that team. A lesson I will never forget is when I was 14 and wanted to leave the training centre and go back to live with my parents, which would mean losing my place at the club and possibly my career, but the team’s president did not let me take this decision and convinced me to stay. And it’s worked out well since! Have you always played as a central midfielder? When I passed the trial for my first youth team, Centro de Treinamento de Futebol do Parana, aged 13, I played with older players and the coach put me on the right wing. For a long time I played in that position – even at Atletico, when I first turned professional, I played there sometimes. You moved to Ukraine aged 20. Initially what grabbed my attention was the financial part, because the difference in salary to what I was earning in Brazil was huge. But it was the best decision I ever made. I learned about another culture and its customs, and it made me grow a lot. My football evolved tactically and technically as well. When I look back, I’m happy that everything went well in those eight years. How did you cope with the change? The first few months were not difficult. It was still summer in Europe, meaning I could adapt slowly. What I had to get used to was the kind of training and language. I did not understand a word that was said to me! In supermarkets, I wanted to ask about foods, but couldn’t. On the pitch, the training workouts were more demanding than I’d been used to. Physical contact was constant and sometimes we had fights. But all this was part of the learning curve, and everybody grew up together there. The first time I was chosen as the player of the season for Shaktar in 2008 – that was fantastic for me. Winning the UEFA Cup in 2009 and the last four domestic league titles, where we played really well, were all big achievements too. So what’s the aim at City? To win everything possible. I want to see the supporters smile and cheer... that is my greatest wish. How’s your English coming along? I am about to start English classes to learn as quickly as possible. But right now I can communicate in Spanish without problems. Have you ever eaten fish and chips – England’s most famous food? Not yet, but I’m curious to try. I really love Brazilian food: rice, beans and red meat. Finally, Manchester has a great musical heritage. Have you heard of Oasis, who support City? I hadn’t before, but after doing a bit of research I found out they were one of the best bands of the ’90s! I prefer quiet music: it helps me focus. The most expensive transfer in the history of the club Manchester United - Cesc Fabregas. The most expensive transfer in the history of the club Manchester United- Cesc Fabregas. David Moyes insists on bringing an improvement to his team and offers for the soccer player from Barcelona over 30 milion pounds plus add-ons. In addition, United has prepared an offer imposibile to refuse and would pay him arround £200,000-a-week. The Spaniard wants to stay at Nou Camp at least 1 year. The contract with Barcelona runs to 2016 and includes clauses for his former club Arsenal like £25m. Barca boss insisted that stars such as Lionel Messi and Andres Iniesta don' t have a price, but never mention Fabregas in this category and that give United the hope to clinch a deal. For the 26-year-old international is not a priority but also it's hard to refuse the offer. 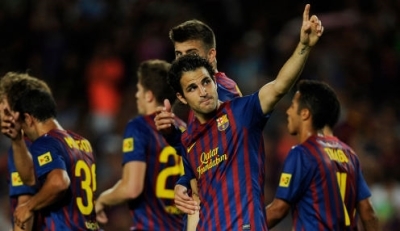 Manchester didn' t bring any name on this summer and hopes to reach an agreement with Barcelona to persuade Fabregas to return to the Premier League. “But as far as players we are looking to bring in, we are working hard to do that and make some additions to the squad. Hopefully there will be some good news in the not too distant future. I am in contact with the chief exec, Ed Woodward, who has been dealing with it just now",Moyes about United’s move for Fabregas. On the other side Bartome announced “We can assure you that we won’t listen to any offers for Cesc”. Tito Vilanova's need to insert to Barcelona's alternatives at the coronary heart of defence has unsurprisingly reignited rumours of a bid for Thiago Silva. The Brazilian is held in substantial regard at the Camp Nou right after an influenced performance in Barca's two-two draw with AC Milan in the Champions League in the 2011-12 time, as well as a pair of powerful showings in PSG's quarter-ultimate away-aim defeat to Barca final period. He was named in the UEFA Staff of the Calendar year in the two 2011 and 2012, and was instrumental in the Milan aspect that secured the Serie A title in 2010-11, their 1st in seven a long time. He has both the tempo and the specialized capability to prosper in Barcelona's substantial defensive line, and with 39 caps for Brazil is used to taking part in in a aspect that cherishes possession of the ball in footballing phrases he signifies a risk-totally free selection for Vilanova. Barcelona are 4/1 to get the Champions League, a price they will uncover challenging to justify should they not improve in an area the place they search light-weight. Club captain Carles Puyol is turning into progressively injuries-vulnerable and has just lately undergone knee medical procedures, whilst Gerard Pique has also experienced physical fitness issues. Midfielder Javier Mascherano has been compelled to believe to the place, as has Sergio Busquets on celebration. With the departure to Monaco of one more auxiliary centre-back, Eric Abidal, a bid for Silva tends to make a enormous deal of perception, and at 28, the Brazilian must be entering his peak a long time, and could offer a long expression associate for Pique. The Brazilian would also carry management to the backline, which Barca have been accused of lacking in Puyol's absence. Even so, whether Barca have the monetary firepower to lure Thiago stays to be seen, specifically following their £48.6 million recruitment of Neymar – rumours that in change show up to be fuelling speculation of Cesc Fabregas's mooted move to Manchester United. 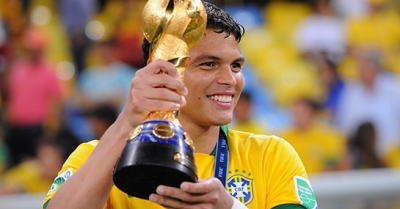 Thiago Silva will inevitably expense a gargantuan sum. PSG paid £42 million for his providers, but they confirmed a deference to recognized European powers in allowing manager Carlo Ancelotti assume the reins at Genuine Madrid, which could motivate Barca. It is also tough to believe that the player himself would not welcome the transfer, regardless of his proclamations of loyalty to PSG. The club will no doubt be investigating alternate options, but if they are to usurp Bayern Munich at the top of European soccer, Silva have to be their principal target. Creating cash from sports activities betting is very difficult and it is fair to say that about 90% of gamblers will constantly shed cash. They could have intervals exactly where they get, but they will have the greater part of periods the place they consistently drop. The other 10% who make funds have a program in location, and they have a method that makes it possible for them to make cash utilizing their betting tips. is easier than betting on a horse race with several outcomes. For case in point, in football, a attract is a quite most likely end result, so there are 3 results that are obtainable, but in say rugby union or rugby league, the likelihood of acquiring a attract is virtually zilch. The exact same applies for tennis, snooker and darts - there are only two results available, it is just acquire or shed. This helps make it significantly less complicated for you to pick your betting tips, and for you to locate sports that have a increased possibility of successful. This is not to say you cannot decide on ideas for horse racing, but it is critical to understand that horse racing is naturally a whole lot riskier than tennis for illustration. You will also discover that you will get decrease odds on tennis as opposed to horse racing and this is because it is a great deal less difficult to get on a tennis match than it is to acquire on a horse race! A great deal of folks bet on horse racing basically for the excitement and that adrenaline hurry, and if you want to have that, horse racing is absolutely for you. If you are hunting to make a lengthy-time period revenue from your betting, it is essential to choose athletics that have the greatest possibility of winning and not sports activities you appreciate observing. If you can recognize the best betting suggestions on a day-to-day basis, it is straightforward to make cash. As soon as you have picked your betting tips that you want to bet on, it is important to bet sensibly and have a staking technique in spot, which you will comply with. Be wise with your bets and examination out your betting ideas 1st before you start betting with your challenging-attained funds. Screening goes a long way, and it never ever hurts to be a 100% certain ahead of genuine betting with real cash. 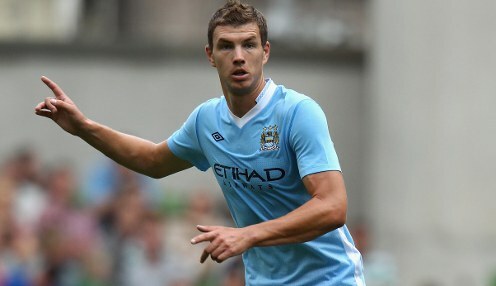 Manuel Pellegrini has confirmed he wants striker Edin Dzeko to stay at Manchester City. The 27-year-old's future has been the focus of much speculation in the summer as City have continued to be linked with a number of strikers, including Fiorentina's Stevan Joveti and Sevilla's Alvaro Negredo. Speaking before taking charge of his first game as City boss against Supersport United in Pretoria, the Chilean moved quickly however to quash suggestions that Dzeko was not in his plans. "I spoke with Dzeko while he was on holiday," said Pellegrini. "He doesn't have any problem. He'll stay. "For me, he's a very important player and I'm sure that he will give, this season, the performances we know he can." 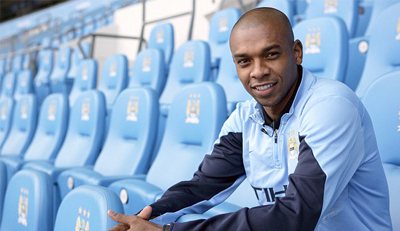 Following their disappointment in reclaiming the Premier League title last season, the Citizens have bolstered their squad with the signings of Fernandinho and Jesus Navas, and Pellegrini revealed he was still keen to do more business. "We will sign maybe two or three more players," he said. City are rated as 3.25 to win the Premier League next season, with Chelsea 3.25. Best of luck! Use your knowledge. Win Big! Deposit £25, bet with £50. Create a William Hill account here >>. Deposit £50, bet witn £100. Create a Betfred account here >>. Deposit £200, bet with £400. Create a Bet365 account here >>. Deposit £50, bet with £100. Create a new Winner account here >>. Deposit 0, bet with £10. Create a new Sky Bet account here >>.